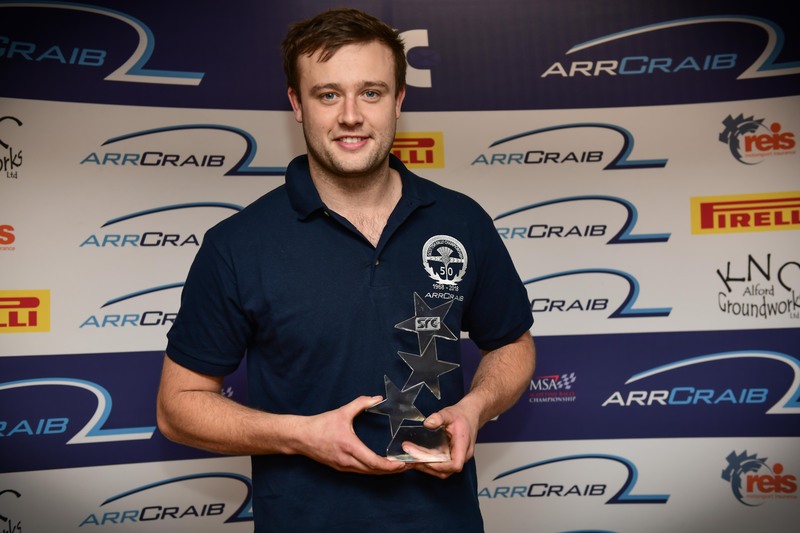 Cornhill driver Michael Binnie has been named the 2018 ARR Craib MSA Scottish Rally Championship (SRC) John Horton Star Driver after winning the shoot-out final at Knockhill Racing Circuit. Binnie beat second placed Angus Lawrie and third placed Alasdair Currie to claim the prestigious award, after losing out to Keith Riddick last year in a split vote. Thanks to becoming the second ever winner of this unique award, Binnie will now join Scottish Junior Champion Niall Cowan Jnr in receiving a day’s tuition with Tapio Laukkanen next Thursday (25th October). Eight SRC competitors – Paddy Munro, Marty Scott, Lawrie, Ross Hughes, Steven Wood, John Wink, Currie and Binnie – were nominated for the SRC John Horton Star Driver Award shoot-out due to their eye-catching performances throughout the year. Each driver had a sit down interview with judges Roy Campbell, Gary Adam and Richard Moore before heading out to a designated stage to create a set of pace-notes from scratch under the supervision of Mike Broad and Andrew Wood. After lunch, the drivers were allowed two untimed demonstration runs around the stage to prove their potential before the judges reconvened and picked the winner. “The SRC is a hugely competitive championship and the talent among the field is quite exceptional, so I’m very grateful and honoured to be selected for this award,” Binnie said. SRC Chairman Gordon Adam praised the effort of all the finalists, stressing that the result could have gone any one of eight ways. “It’s a great pity we can only have one winner,” Adam said. 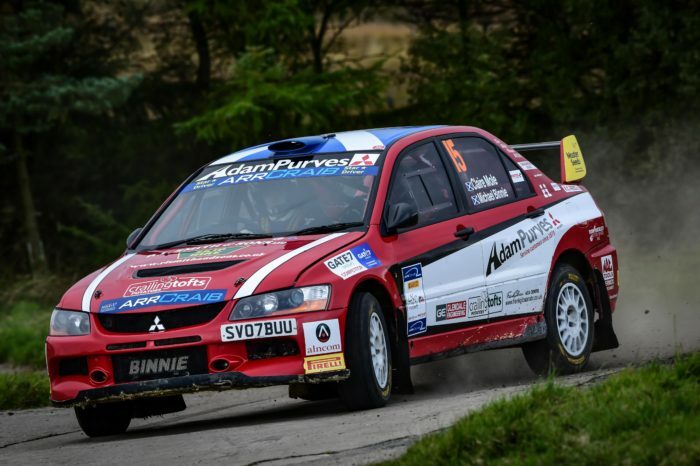 “Some of the talent out there gives us great faith for the future of Scottish rallying and the Scottish Rally Championship. A name which is synonymous with UK rallying, John Horton first made his mark on the sport as an international co-driver and competed alongside the likes of Russell Brookes, Billy Coleman and Jimmy McRae in a variety of cars and teams. Perhaps the most famous of these was with GM and the Opel brand in the 1970’s. Outside the cockpit, John was actively involved in rallying, helping to develop the MSA British Rally Championship and its own Star Drive schemes as well as assisting in the organisation of many high profile events across the country. Perhaps though, he is most famous for his media and PR activities, being the voice of the PA system on many UK and Irish rallies down the years. He also worked as the national press officer for the British Grand Prix and Wales Rally GB at the turn of the century, and is sadly missed by the rallying community after he died suddenly last year. 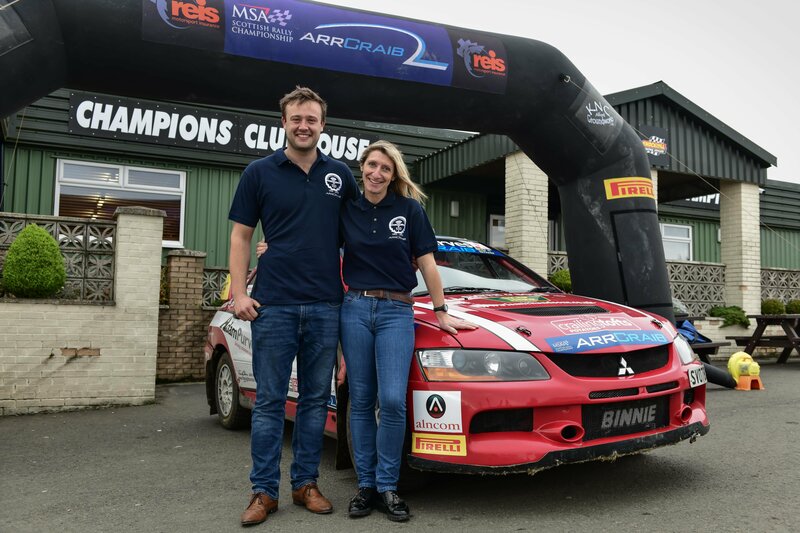 The 2018 ARR Craib MSA Scottish Rally Championship is partnered by Pirelli Motorsport, Reis Motorsport Insurance and KNC Groundworks Ltd. The championship consists of seven forest events across Scotland, taking in over 300 competitive stage miles. 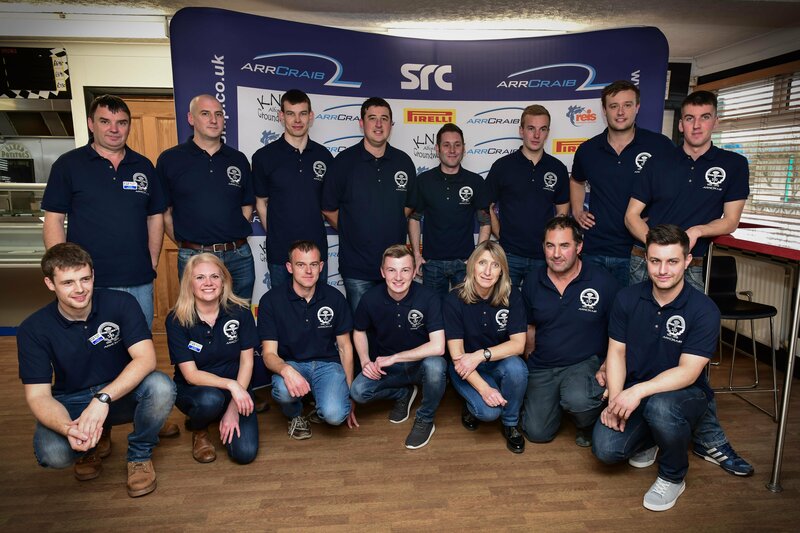 Keep up to date with all the latest news via the website, Facebook or Twitter using the hashtag #SRC18.